A Health Spending Account (HSA) is a platform for self-employed people, incorporated companies and business owners to cost effectively pay for medical/dental expenses that are covered under the Canadian Income Tax Act. Instead of paying for expenses personally (with after tax dollars), they are covered through the company or sole proprietorship. The advantage? It’s tax free to the individual and their family! 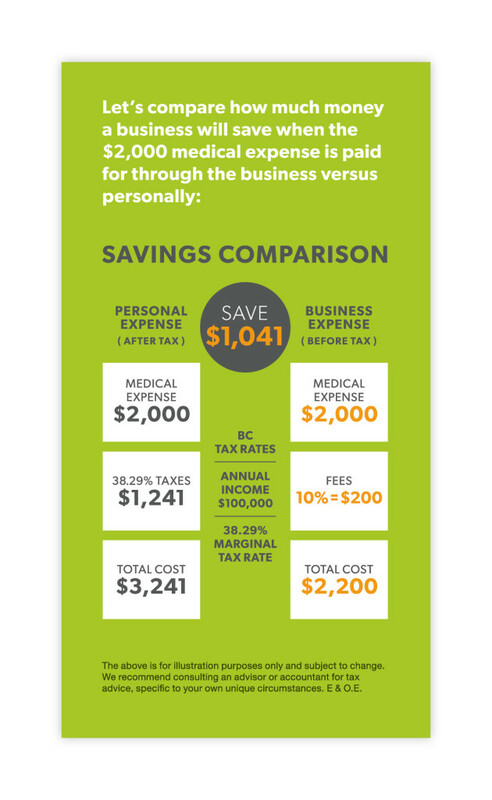 Business Expense: You Pay for your medical expenses through your corporation with a Health Spending Account.